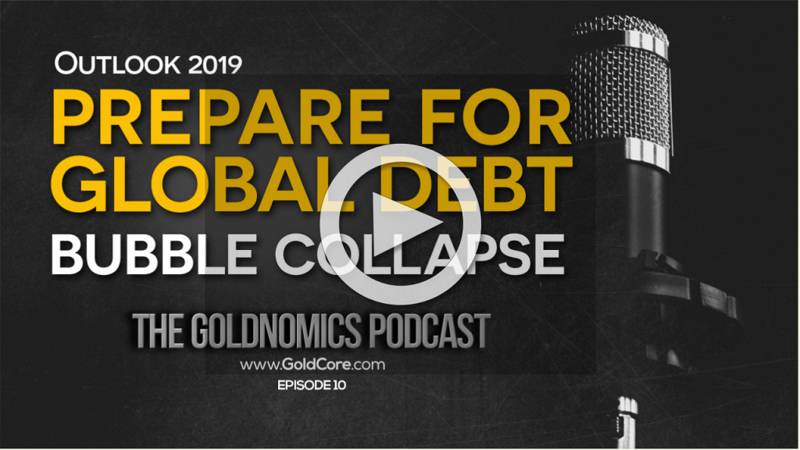 - Gold bullion has been a "store of value for a very long time"
“Recession fears are probably overblown, but I do think we’re experiencing a slowdown,” Russ Koesterich, portfolio manager at the $60 billion BlackRock Global Allocation Fund, said in an interview, citing decelerations in the U.S., China and Europe. 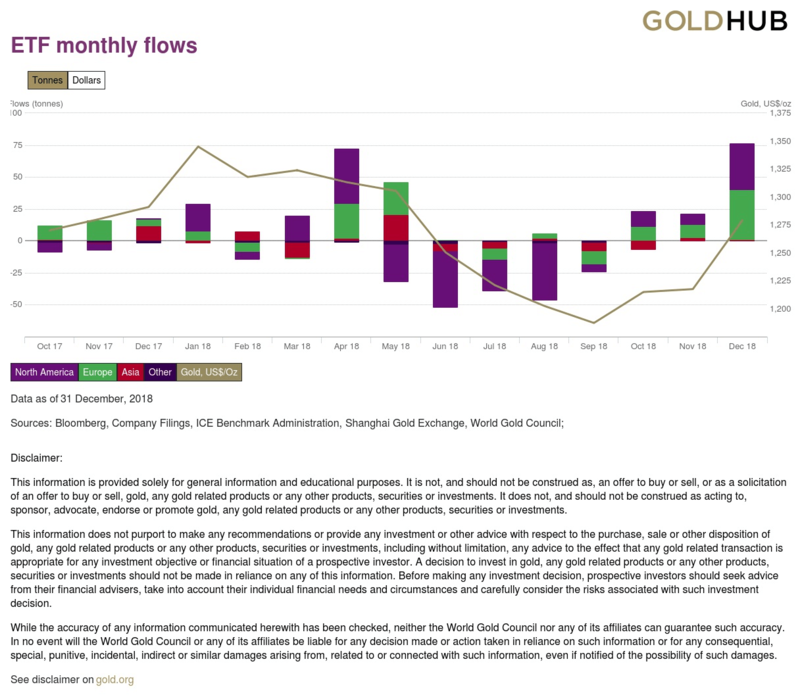 While BlackRock doesn’t have a price target, it’s been raising bullion holdings since the third quarter through exchange-traded funds. Bullion surged in December as global stocks capped their worst annual performance since the financial crisis. Investors took fright at signs of economic weakness in the world’s largest economies, with China grappling against the U.S. trade war. Other political uncertainties, such as Brexit and the partial U.S. government shutdown, have also buttressed demand for havens. Editors note: Gold bullion, not gold ETFs, has been a store of value for thousands of years. 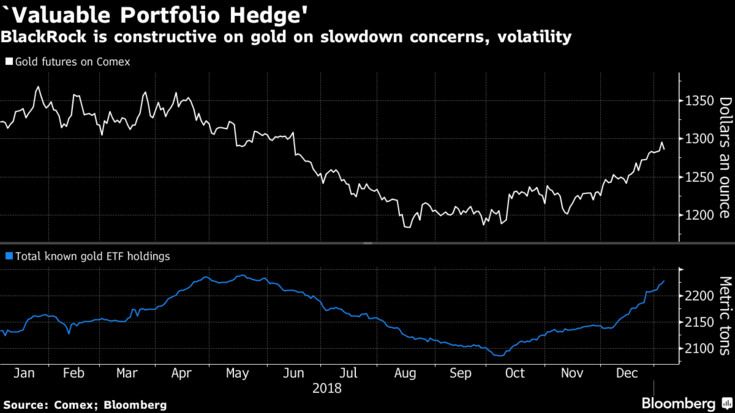 Gold ETFs have yet to be tested in a major geopolitical of financial crisis. They are excellent vehicles for getting exposure to the gold and silver price, long or short, but should not be confused with store of value and safe haven gold and silver coins and bars.